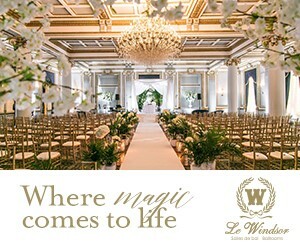 The grand architecture of One King West in Toronto provided the ideal backdrop for this luxurious Versailles wedding style shoot planned by Elle et Lui Events Designs. With a French theme in mind, rococo motifs were used to influence the tableware, cake, and dress emitting total style and elegance. 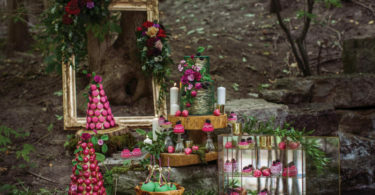 For a touch of colour, emerald was added into the stationery, sweets and green florals.